Home > Football > Ronaldo’s Serie A debut tougher than expected. A late comeback win was enough for Juventus in Serie A opening game with Cristiano Ronaldo. It looked like Cristiano Ronaldo’s debut with Juventus wasn’t going to go as planned. Cristiano had plenty of chances but the Chievo goalkeeper was determined to keep the 5 time Ballon d’Or winner off the scoresheet. Juventus played a solid game but Chievo was more than willing to show the packed house, that CR7 wasn’t the only reason to be there. Khedira got the scoring started for Juventus but moments later Stepinski scored for Chievo and was able to get the game tied at 1 – 1 and that was the way it headed into halftime. A penalty was then awarded for the home team and Giaccherini buried it to put the home team ahead 2 – 1. Juventus was able to get the game level again at 2 – 2, on an own goal by Bani. Ronaldo had a glorious chance as he was given a free kick just outside the box but as it was all game the keeper was ready and made a terrific save. In the 86th minute, Juventus thought they took the lead but as the goalie lay motionless, the ball was headed into the net but the Chievo defender kicked it out just as the ball seemed to have crossed the line. After the VAR review, it was indeed verified to be a goal as replays showed the ball completely cross the line, but as he crashed into the goalkeeper Cristiano put his hand on the ball and the goal was eventually called back. After all the chaos, Juventus put all the pressure they could and finally broke through when Bernardeschi poked home in the third minute of added time to give Juve a 3 – 2 lead and the victory. 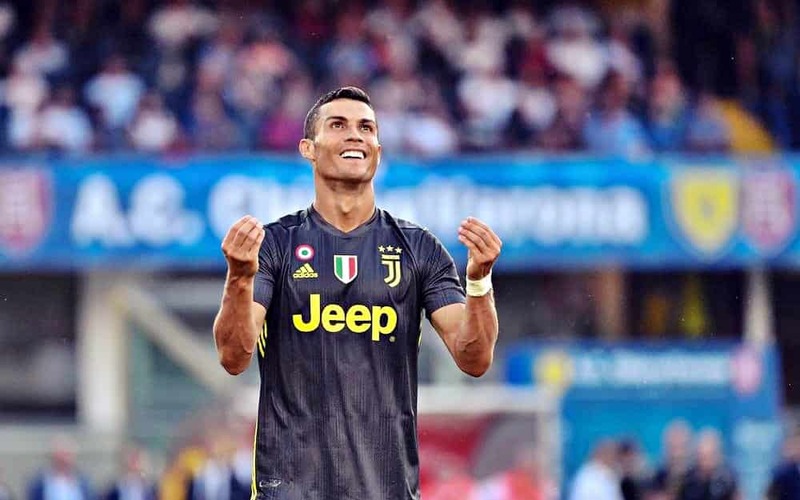 It was an extremely exciting game in the Serie A opener and after only seven days of practicing with his new teammates, Cristiano Ronaldo showed flashes of what Juventus and Italian fans are hoping is a memorable season.